The future of free media! The idea of media freedom in a constrained atmosphere! Is India a truly a free country? A liberal and open society? Such questions are not asked. Not because those who are tempted to ask don’t ask, they are constrained. The other day when a national newspaper celebrated its 140th anniversary its publisher wrote and pointed out how journalists in India were killed and a number on which it seems nobody seemed to care about. There is an international journalists association, called journalists without borders, a Paris based organisation that tracks journalists all around the world. Where does India ranks in the international freedom of the press index? The country ranks 138, among 180 countries. This is in the 2018 World Press Freedom Index compiled by the Paris based Reporters Sans Frontiers. So, as Indians we must realise that we are not a great nation for freedom of expression, freedom of the press and a freedom of the individuals. The work related killing of 48 journalists in India, including 34 murdered in retribution for or to prevent news coverage and commentary doesn’t again speak well of our many claims and self-justification for our own a utterance and actions since 1992. India is again one of the dozen countries figuring year after year in the New York-based Committee to Protect Journalist (CPJ)’s Global Impunity Index where journalists are murdered, the cases remain unsolved and the killers go free. And, let all of our journalist fraternity and the editors and owners of media, newspapers, magazines and TV channels know and take note and pause and think deeply and come out with their own thoughts so that we as a nation ponder over what all these developments convey to our collective existence. Today there are many challenges. One, is of course the technological changes, the great impact of the internet spread, the phenomenon of the mobile phones and the revolution in Google, Face book, the very telecommunications, the new revolutions in the speed and the accuracy, the social media with its advantages and its challenges, the rise of the phenomenon of false and fake news. Lately, the fake news menace is such that there is no way politically the open societies can thrive and grow if there is no way ordinary people, the common man on the street has to get his information correctly. Unfortunately it is not easy for the free media to thrive unless there is so much concentration of power, money power, political clout and also the muscle power. In the context of mob lynching as new phenomena, there is no way democracies can provide a peaceful existence for citizens if politics is going through a phase of intolerance. We in India thought at one time, during the first few years of freedom, under leaders like Pandit Jawaharlal Nehru that a non-violent society could thrive and sustain. Today alas! It looks that such a dream is not possible. Our democracy is not so non-violent, as far as possible, it is a mixed blessing. So, what are we left with? It looks that sheer commercialisation, sheer concentration of power both economic and political, drives our very social and moral trends. There is any number of fake phenomena. Even the much talked about our spiritual traditions see an influx of fake swamijis, godmen and what else you have got. There is a strong dose of irrational fake forces to drive our mental inverse. Also, there is the democracy’s many undesirable features. Propaganda in political discourse is deteriorating day after day. The Prime Minister and the other leaders of the ruling party also seem to indulge in discourses that are far from restrained and civilised. So too the Opposition leaders. Specially for the leading Opposition party, namely Congress, under an young leader seems to be going far from the traditional Congress ethos. There is a tradition left behind by Mahatma Gandhi and Panditji where we have to carry the entire country forward if we want to leave behind a hoary tradition of “live and let live’ culture, the self-restrain for a leader is very important. Now, as for the news media too, we see the local language TV channels indulge in all sorts of cheap language and even vulgar expressions for the sake of drawing the lowest common denominator of the audience. 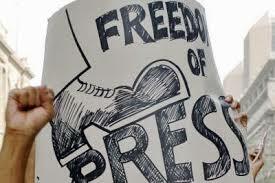 Media freedom has to be nurtured by the government. In this sense we are not yet a free society and free culture. This is an area we have to give much attention too. Indian English language press needs much protection and there is a wider awareness that in the long run, it is only the print press, the independent small press that can save the soul of a nation, a society that can call itslef as a civilised one.